its a bit of a tradition at work that we bake for each others birthday...well....the wednesday night lot anyway! Frans birthday was last sunday so i promised her a cake! 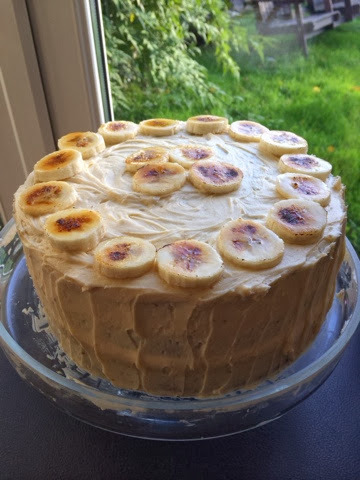 i gave her the option of either a chocolate cake with a chocolate brownie layer OR a banana cake with salted caramel icing. much like a minion she went for the banana. 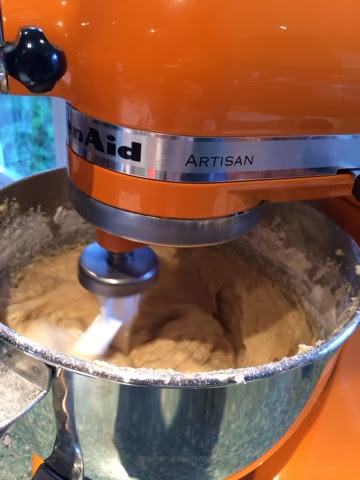 this recipe is from Raspberri Cupcakes, an Australian blog that i have been following for quite some time now. 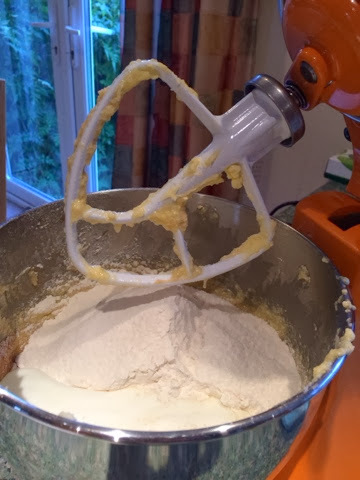 start by creaming the sugar and butter together in a stand mixer with a paddle attachment. 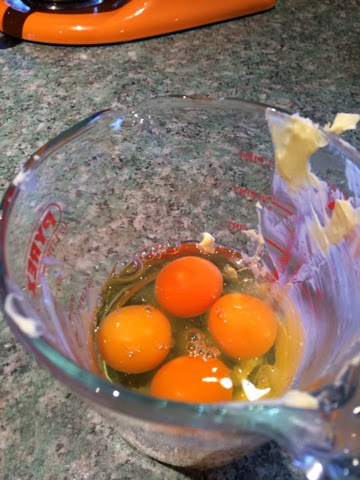 next add the eggs one at a time, beating after each addition until well incorporated. 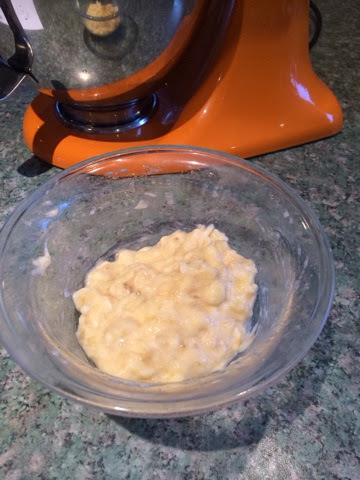 mash the banana's in a bowl and then add them to the rest of the mixture along with the vanilla extract. beat once again until fully incorporated. 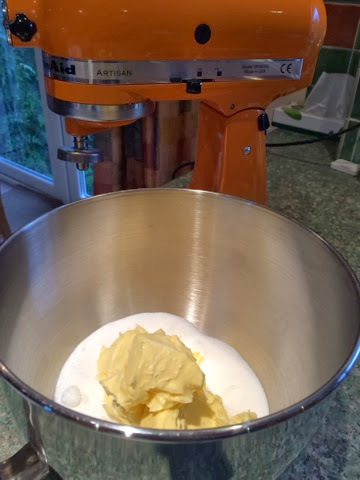 next measure out the flour, add the bicarb, salt and cinnamon and sieve half into the bowl. 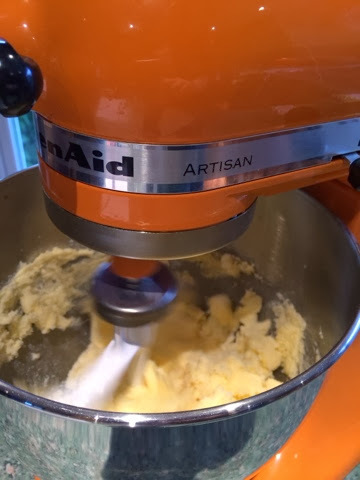 add half of the butter milk and beat until well mixed. 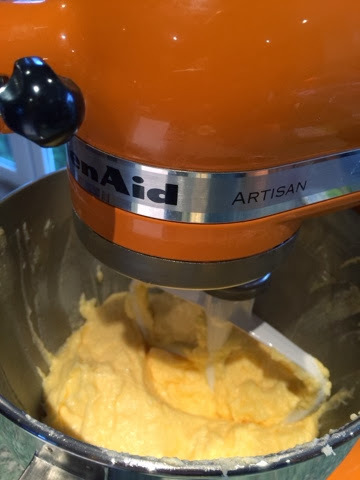 scrape down the sides of the bowl and then repeat the process until all of the buttermilk and dry ingredients are incorporated. 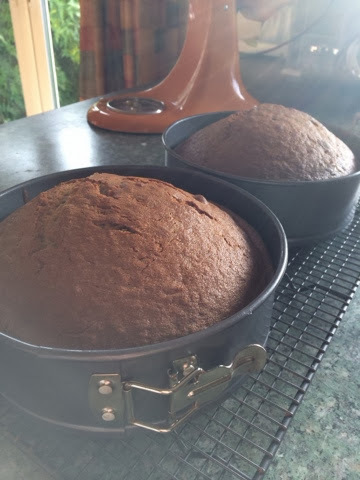 the batter itself is quite thick compared to my normal cakes, but do not fear! 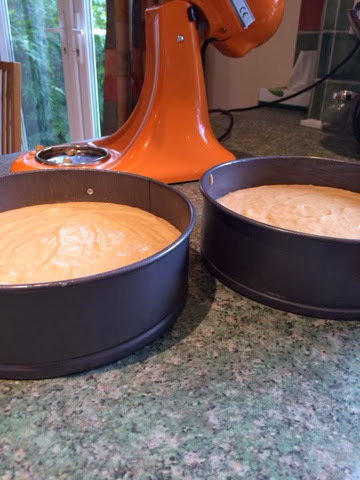 divide between two 18cm cake tins, you will find that there is a lot of mixture in each tin but the cakes will be thick enough to cut in half and create 4 layers of heaven. bake for 50-60 minutes until a skewer comes out clean and they are golden. 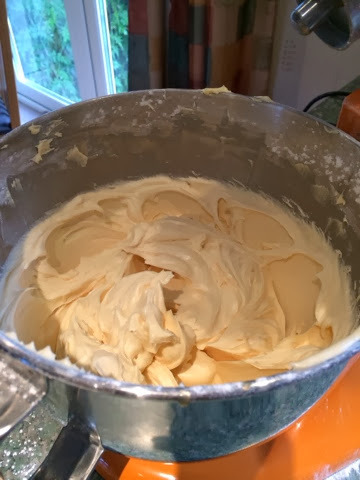 whilst the cake is cooling get cracking on the caramel for the frosting. in a medium sauce pan add the sugar and water and stir BEFORE putting on the heat, once you apply the heat you don't want to stir at all! 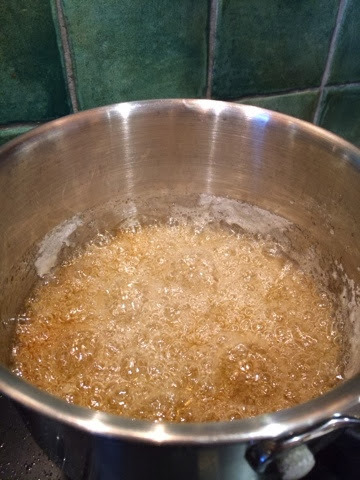 place the pan on a medium heat and allow the sugar and water to bubble away until they become a nice amber colour. 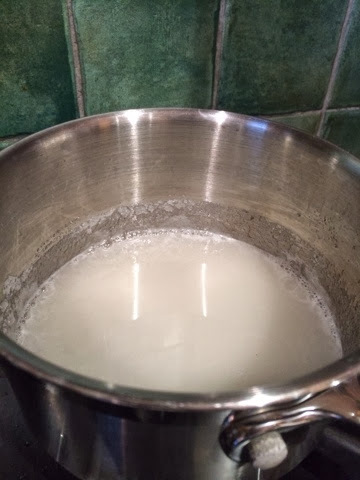 once this happens remove from the heat and carefully and slowly add the cream. it will bubble violently but this is normal. 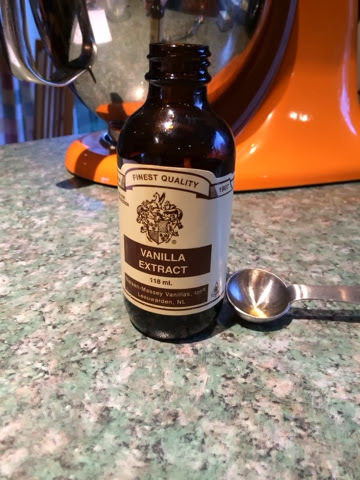 just make sure you continue to mix with a WOODEN spoon, don't use a whisk like i did...i ended up with a lump of solid sugar on the end of it and had to start again... oops! 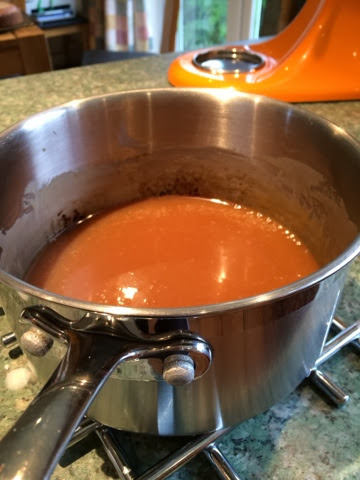 once everything is nicely incorporated set the caramel aside and allow it to cool down to room temperature. once creamed together add the caramel and beat again until its smooth and has a caramel tone to it. add the salt a little at a time, tasting as you go. you don't want to chuck it all in at once as you could ruin it. 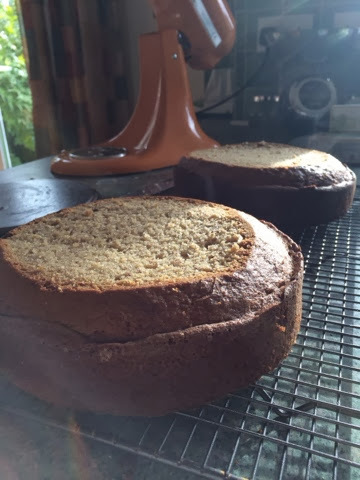 slice the cakes and begin the layering process. 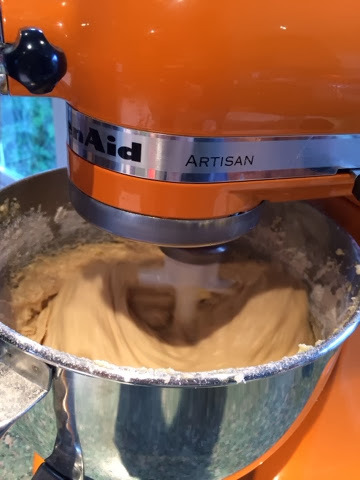 there is a lot of frosting so make sure to put a nice thick spread in between the layers. for the decorations, slice the banana and place onto a baking tray. 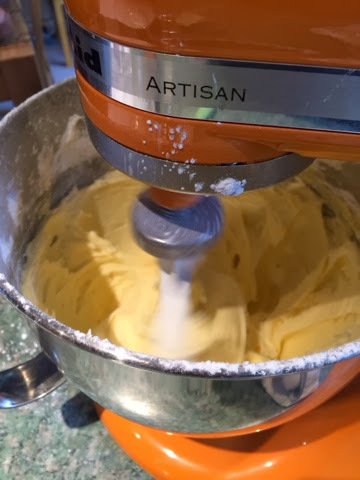 sprinkle over the sugar and take a blow torch to them (if like me, you may want to scream "BE DO BE DO" as you do this). 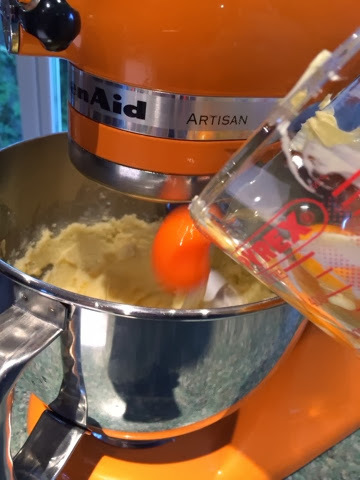 place in the fridge to allow the icing to harden up slightly and remove 30-40 minutes before serving.